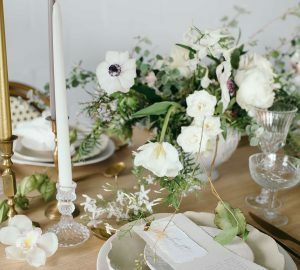 You may or may not know that Karen and Gemma Morgan of The Wedding of my Dreams also run Passion for Flowers, their wedding florist business based in the West Midlands. 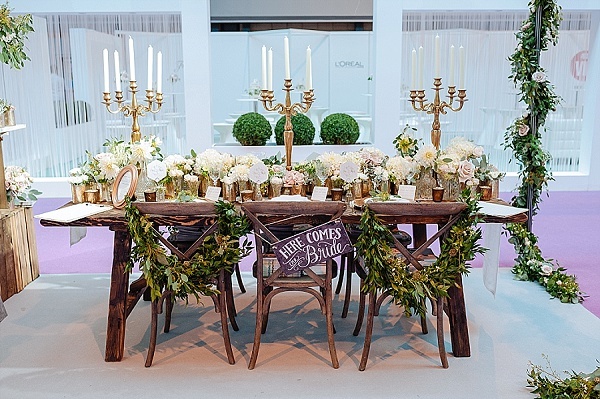 Passion for Flowers exhibited last weekend at The National Wedding Show Birmingham and of course finished off their stand with chalkboard wedding signs, bronze tea light holders and many more lovely decorations from The Wedding of my Dreams. 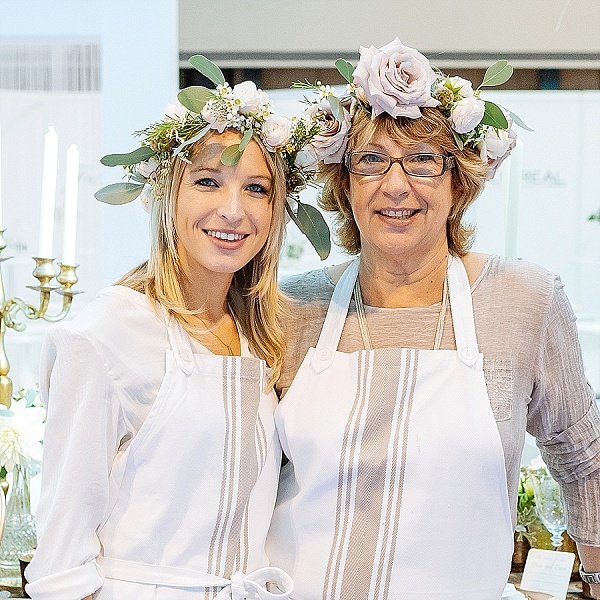 See more photos of Passion for Flowers stand over on their blog. 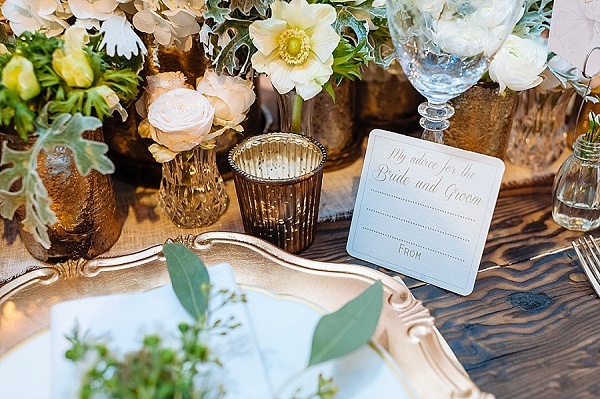 Photography by Daffodil Waves Photography. 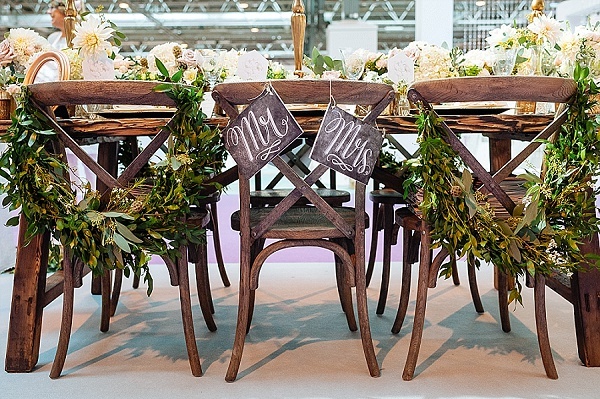 Our chalkboard wedding signs were a big hit with couples at the wedding show, we used them as wedding chair signs on either side of the table. 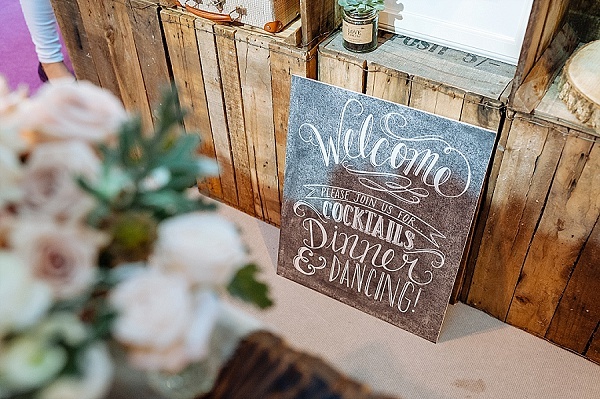 The here comes the bride chalkboard sign would usually be held by a young bridesmaid or page boy as they walk down the aisle. 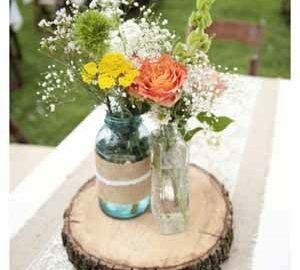 The Mr and Mrs chalkboard signs could be hung on the bride and groom’s chairs. 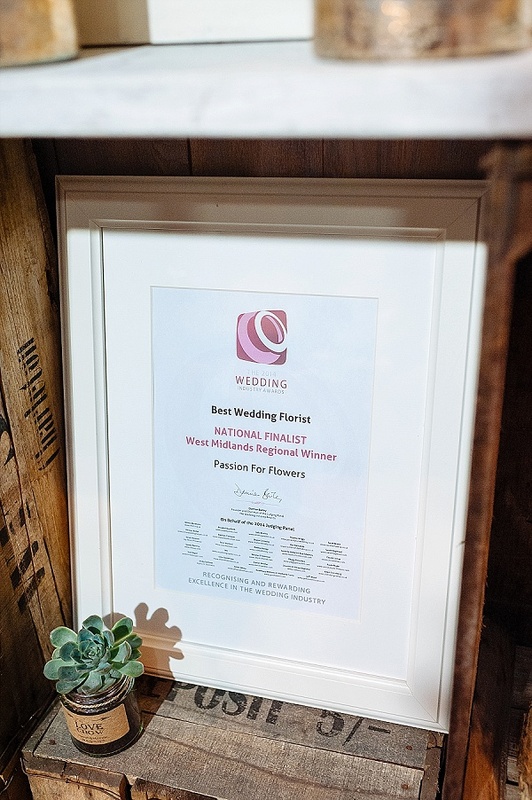 Our new welcome to the wedding chalkboard sign was admired by all. 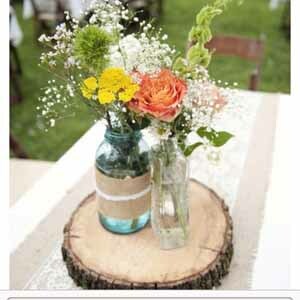 The rustic wooden table was set for 6, at each place setting our advice for the bride and groom coasters were displayed. 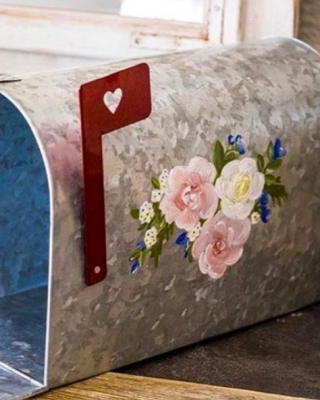 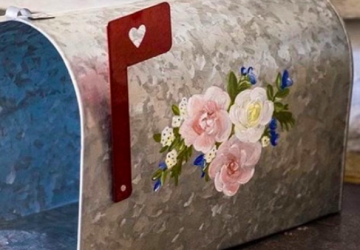 Guests can fill these in leaving their comments for the newly married couple, either provide pegs to hang these up on display around the venue or ask guests to post them into a wedding mailbox. 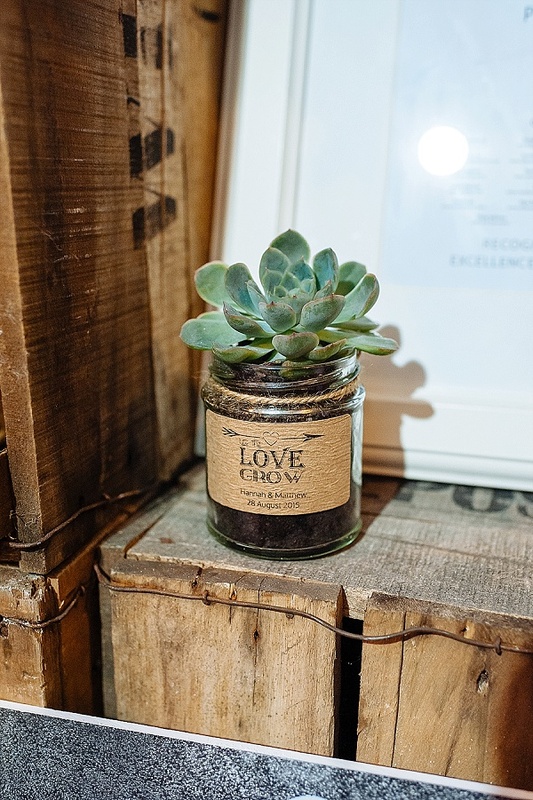 Our favour stickers looked perfect on these succulent wedding favours, our let the love grow stickers have had the design updated slightly – these are the new version and can of course be personalised with the names of the couple and wedding date. 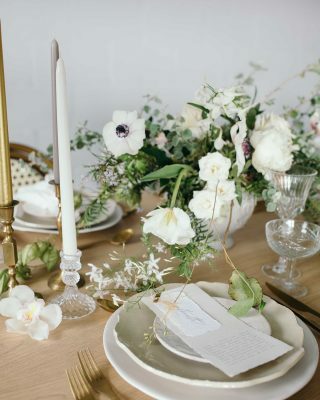 Our bud vase name card holders were at every place setting, holding lovely stationery from Tom Gautier. 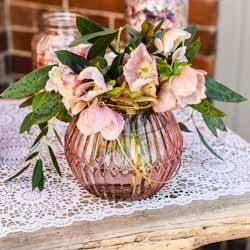 A tiny sprig of wax flower was placed in the bud vase, we love the idea of these being given as a wedding favour for guests to take home with them. 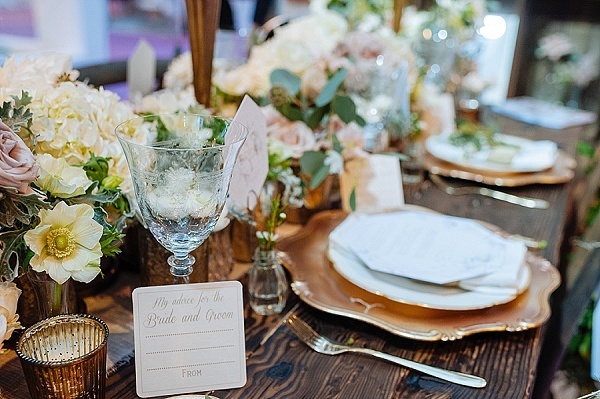 The table scape used a mix of bronze vases in assorted sizes as well as crystal glass vases which had been sourced from flea markets and vintage shops. 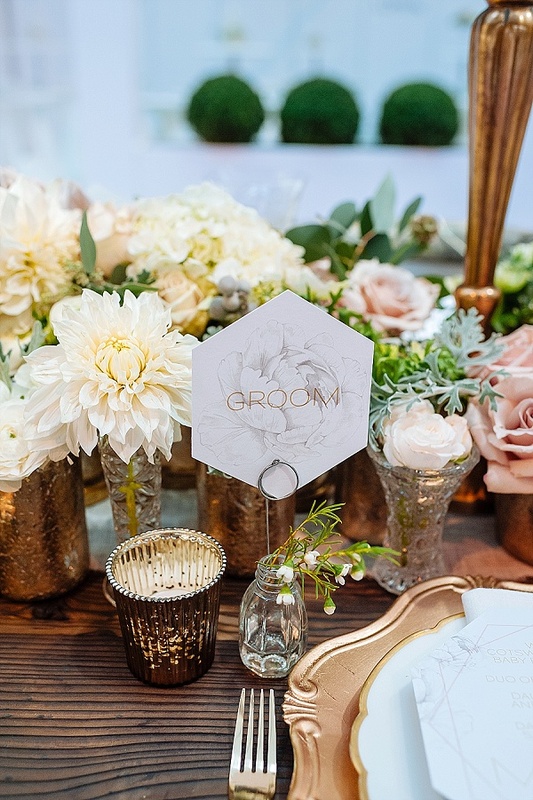 Dotted around the florals were our bronze ribbed tea light holders and our chunky bronze vases were used in the mix on the table. 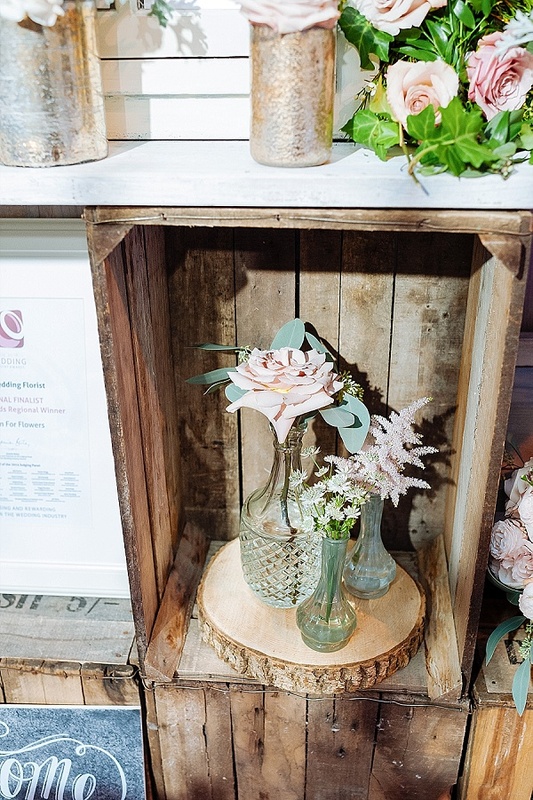 On the back wall of the stand Passion for flowers styled wooden crates with various details and decorations. 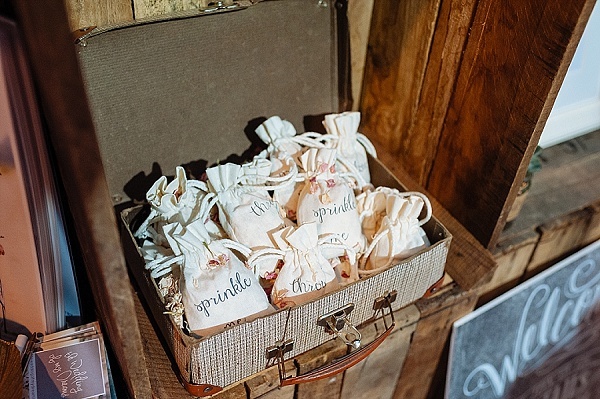 A small vintage suitcase held our cotton confetti bags, both the throw me and sprinkle me designs were admired by all. For a more rustic setting Passion for Flowers used our bark tree slices with a grouping of green bud vases and a crystal decanter. 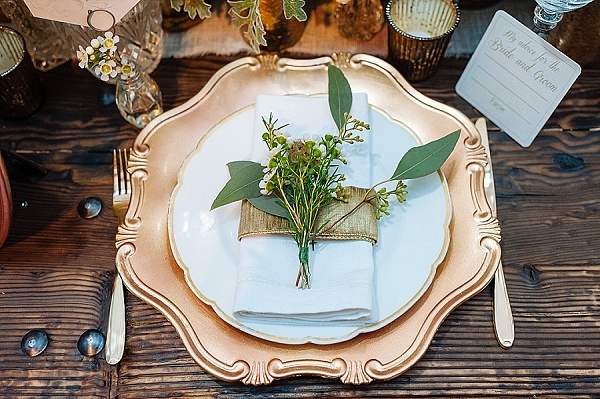 This oozes rustic elegance. 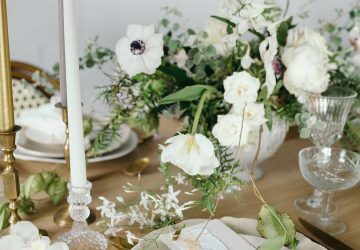 If you are interested in floral design by Passion for Flowers and are getting married in The West Midlands, The Cotswolds or Warwickshire check out their website.